The Madshus Explore Ski Series delivers an expanded backcountry Nordic experience with go-anywhere capability. 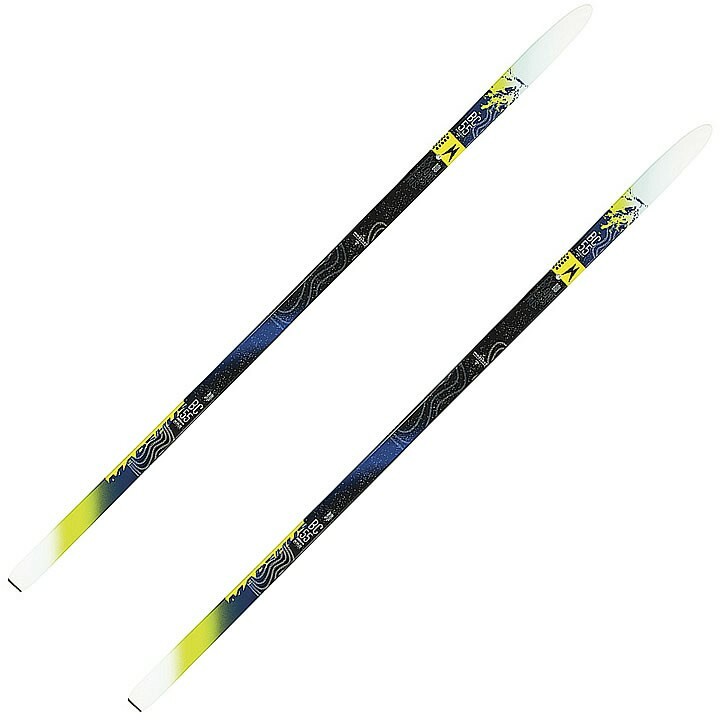 The Madshus BC 55 Wax Nordic Ski is Madshus' classic backcountry ski offering sturdy, all-around performance geared for skiing off-trail. This cross-country ski has a wider tip shape that easily breaks trail on ungroomed snow, while its full-length steel edges boost confidence when the conditions firm up. This BC 55 even lets you choose your wax of the day. Multicore with Triaxial Cap Construction. Multicore is a highly durable Madshus wood core laminated together to enhance the camber lifetime of the ski. Multicore gives extra strength and liveliness to the ski, and it is shaped to fit the ski profile, minimizing the excess use of glue in the ski's production. P-tex 2000 Electra Sintered Racing Base uses polyethylene pellets pressed into a hard block and cut off into thin strips. This results in a very hard base that is relatively porous and accepts glide wax well, especially after numerous applications.